A bestselling jewelry chain for several decades in a row! How often can you say that? This cable chain is small, but not too small. A nice size for a wide range of applications and styles. Open links will accomodate jump ring attachments. 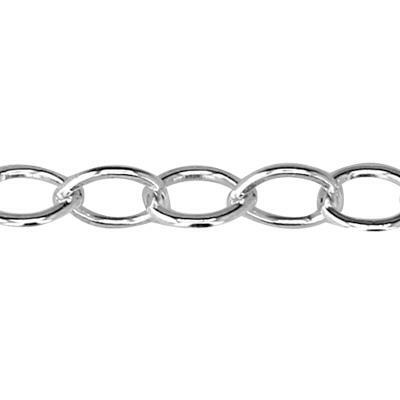 1.6mm diameter gives this chain sufficient strength for small and medium weight pendants. A true classic that will never go out of fashion. This chain is very dainty and really catches the light! I will definitely purchase again.